Water is life, right? 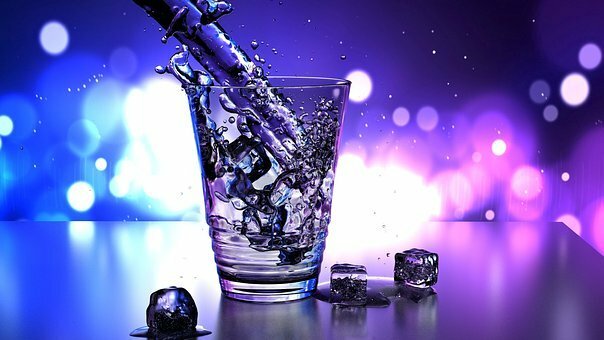 Amazingly, our bodies are made up of at least 70% water yet many of us don’t think of the quality of water we put into our bodies, or that with which we soak in!! Isn’t that something to think about? Water is the primary component of all the bodily fluids–blood, lymph, digestive juices, urine, tears and sweat! That’s enough to convince me that water quality is important! Interestingly, water is representative of healing, from hot tubs to hydrotherapy to using water for baptisms, or the relaxation that a calm lake or ocean offers one’s mind. But our water supplies have been negatively impacted and we now find toxic substances like dioxins, heavy metals, nitrates, nitrites, pesticides, polychlorinated biphenyls (PCSs), antibiotics, birth control pills and many other chemicals. Because of this, city tap water is considered to be processed, unnatural and contains potentially hazardous chemical additives. City tap water is heavily chlorinated to kill germs and numerous municipalities add fluoride, which is a known neurotoxin. Because of the chlorine in water, when consumed, it kills all bacteria in the gut (intestinal flora), including all those beneficial bacteria that we need to thrive! With that said, it is best to avoid tap water! Another water to avoid is bottled water. Not only is bottled water expensive, but it can come in polyethylene containers which leaches chemicals into the bottle raising health concerns there. So how do you choose drinking water? Well water & Springwater: If you have access to well water, have it tested to make sure it doesn’t contain bacteria, mineral content and organic chemical pollutants. If your water is of good quality, you can benefit from nutritional minerals such as iron, zinc, selenium, magnesium and/or calcium. Mineral water: these are the bubbly waters called natural sparkling waters. Many companies inject carbon dioxide back into the water because it is easily lost between ground and bottle. Club Soda is similar but usually has more minerals added to it. Again these waters have to be tested to make sure they do not contain pollutants. Also it is not recommended to drink large amounts of mineral water as they affect the acid-alkaline balance of the body. If you are on the go, make sure to bring filtered water from home in a glass or stainless steel bottle. If you travel for work, purchase yourself a travel mug with a filter. This will ensure your water is clean and is the best alternative for those of you on the go! For bath time, add at least 1/2 cup of baking soda to your bath water. This will help neutralize the chlorine, especially important for young children. Remember that the skin is our largest organ and does absorb almost everything it comes into contact with. For the shower, there exist many dechlorinators. So remember, drink quality water to take care of your body! And make your water fun to drink, add lemon, lime and orange slices, rosemary, cilantro, mint, or even apples and cinnamon. Flavor your own water to taste! Enjoy! Haas, Elson M. MD. Staying Healthy with Nutrition. New York, Random House, 2006.